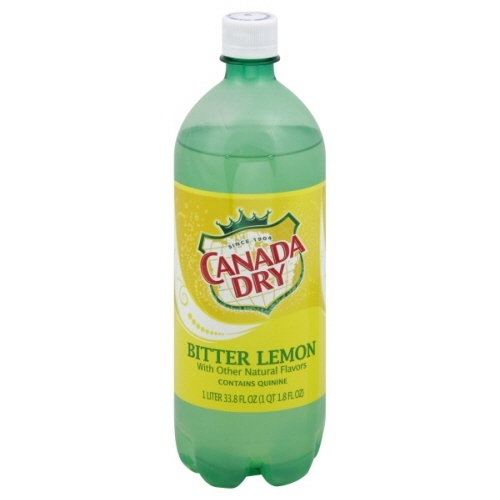 Canada Dry Bitter Lemon comes in a bright green & yellow 10 fl oz (296 mL) glass bottle with a label that says, "Canada Dry. Since 1904. Bitter Lemon with Other Natural Flavors. Contains Quinine." The liquid is an opaque, grapefruit pale, and smells of a sweet citrus calming glow and subtle base finish. It's medium-thin with slight astringency, and tastes of strong citrus zest turning to pith. It's a soothing break while you're working hard.